Physical, digital? Sell anything. Anywhere. See your stores performance from month to month using graphs and stats export reports for orders, customers and stock. Taxes are the last thing you want to think about when selling online - and it’s one of the last things your customers want to think about when buying online. So, we’ve made it simple. Choose to offer free shipping or flat-rate shipping. If you would like to only ship your products to a specific country, or automatically calculate shipping by weight and use Maltapost rates. A Point of Sale system that’s as fast as you. Our POS System’s main advantage is that it is always in sync with your eCommerce website. If you make a sale online or in your store your inventory is always in sync. Can also work with your existent hardware. We tailor our online shops around you. Whether you’re a mom-and-pop shop, a weekend crafter, or a big brand name. 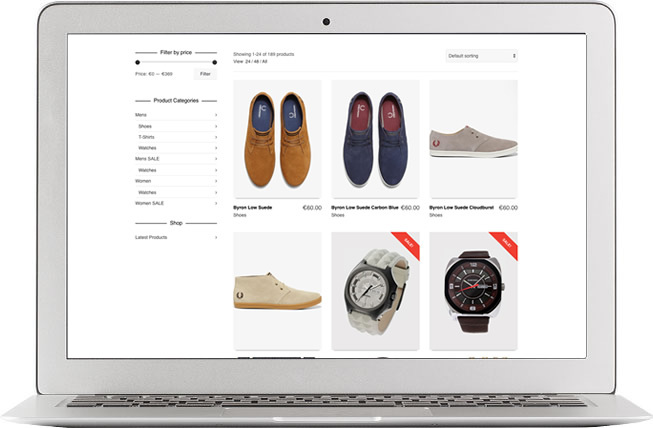 There’s no limit to the number or type of products you can sell in your online store.